Growing up I wasn't a Nancy Drew reader. I am not sure why they weren't on my radar, I was more into Judy Blume, Little House on The Prairie and then Stephen King books now when I pick up a Nancy Drew book, I know that I would have been so into Nancy Drew. 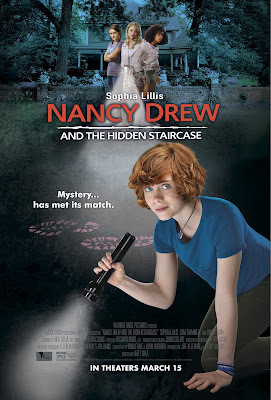 My daughter and I cannot wait to check out the new Nancy Drew and The Hidden Staircase coming out this March!